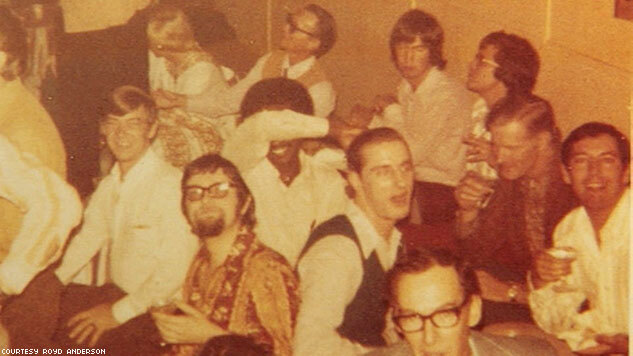 Forty years ago, dozens of people were trapped inside a New Orleans gay bar as it burned down. Now a new book, two films, an art installation, and a musical revisit the tragedy. Above: For patrons of the UpStairs Lounge, the place wasn’t just a bar. It was a theater, a place of worship, and a community center all in one; most important, it was a place for folks to call home when the rest of New Orleans wasn’t so welcoming. When Duane Mitchell was 11 years old, he and his 8-year-old brother, Steve, loved visiting their dad, George, then a divorced beauty supply salesman in New Orleans. The Big Easy in the 1970s was a different world compared to where they lived with their mom in northeast Alabama. Though the divorce was amicable, it was always hard for the boys to get enough time with their dad during the school year. Sunday, June 24, 1973, started out like any other day for the boys, who were eager to see a Disney movie, The World’s Greatest Athlete, starring Jan-Michael Vincent as a Tarzan-like runner over a decade before his TV series, Airwolf, would make him a household name. George Mitchell dropped the boys off at the theater like he often did. Despite the recession, gas shortage, and racial tensions that dominated that summer, it was still a more innocent time. Kids could go to movie theaters alone with a handful of cash for popcorn, candy, and sodas, armed only with the admonition to stay there until their parents came back to pick them up. Dad was going to hang out wherever it is that adults hang out, with friends and his roommate, Horace, a barber. Duane gave it little thought — until the movie was over. And over again. Duane says he and Steve watched that movie seven times and Dad just never came back. Finally, George’s landlady picked the boys up that night, and the next day a neighbor took them to the airport to fly home to Alabama, all the while not telling them the ugly truth of why Dad never returned. How do you tell an 11-year-old that his father was burned alive, his body wrapped about his boyfriend, the two men charred and clinging to each other, lovers in life and death, while trying to escape the worst mass killing of gays in American history? 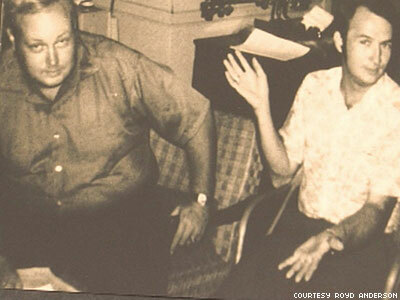 Photo: George Mitchell (left) and his boyfriend, Horace Broussard, in happier times. George initially escaped the fire but went back in to save Horace; the two died together. George’s son Duane didn’t know his dad was gay but calls him a hero today. At right: Pianist George Matyi wasn’t a regular performer at the UpStairs Lounge, but the night of the fire he took the gig as a favor to a friend. He left behind a daughter and two sons who only recently learned the truth of his death. But that night and ensuing weeks would prove the city was anything but comfortable with gays. 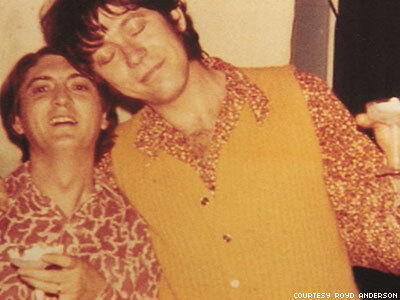 Phil Esteve opened the bar nearly three years earlier on Halloween with help from a friend, bartender Buddy Rasmussen, according to author Johnny Townsend, the only person to fully document the tragedy with survivor input in his book Let the Faggots Burn. Townsend writes that because the club was outside the gay area of the French Quarter, the men worked extra hard to draw people in with dancing, singing, and live piano by popular cocktail lounge musician David Gary. The place had red wallpaper and almost-girly curtains, creating a sanctuary that was both homier than modern bars and more welcoming than many of the patrons’ homes. There was an extra space in the bar, a theater of sorts, where they staged “nelly plays” and musicals. Esteve also let members of the Metropolitan Community Church, the only LGBT-affirming Christian church in the nation, use the space. 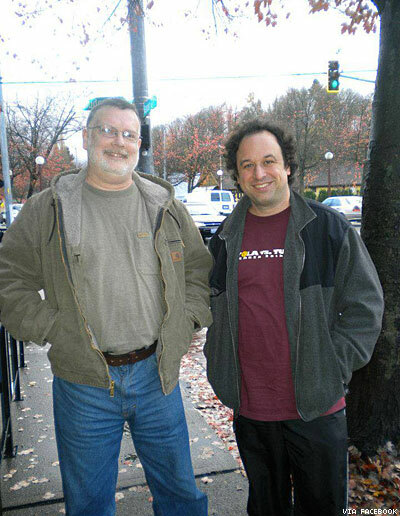 At left: Bartender Buddy Rasmussen (right, with a friend) led 20 people to safety but inadvertently locked the door behind them, closing off the only escape route. It was a happy place for the members of MCC, the mainline Protestant church founded by Rev. Troy Perry in Los Angeles in 1968. As the denomination spread nationwide, fledgling MCC congregations formed in places like New Orleans where religion was a cornerstone of community life. Though the Christian worshippers were as devout as any flock in the South, a church run by gay, bi, and transgender people wasn’t wholeheartedly welcome in the local community. In fact, the UpStairs Lounge had served as its temporary place of worship for months because the church had been set ablaze three times, including, according to Townsend, a fire that destroyed its headquarters January 27, 1973. But Esteve and bartender Rasmussen liked having churchgoers at the lounge. They added to the friendly environment of the club, a place where at least two patrons, brothers Jim and Eddie Warren, felt comfortable enough to bring their mother, Inez. Above: Rodger Nunez, the main suspect in the mass killing, pictured in life and in death. On Sunday June 24, 1973, more than 100 people attended the MCC service, and dozens stuck around to plan an upcoming fundraiser for what then was called Crippled Children’s Hospital. Esteves gave them all free beer. It was a night like any other. Oh sure, there were vagabonds, says filmmaker Royd Anderson, whose documentary The UpStairs Lounge Fire details that night and the aftermath. But there were also doctors, poets, actors, intellectuals, and hustlers. At left: Duane Mitchell (left) looks at photos of his dad, George, with filmmaker Royd Anderson. Duane was 11 years old at the time of George’s death. One of those miscreants was Rodger Nunez, a 26-year-old hustler who often became aggressive and mouthy when he was drunk. This night Nunez began to harass one of the regulars, Michael Scarborough, through an adjacent stall in the bathroom. Who knows why Nunez was acting out then? There was a glory hole in the restroom, but Scarborough didn't want anything to do with what Nunez had to offer. When the altercation turned physical, Scarborough gave the guy a right hook to the jaw, and when that didn’t stop him, he complained to Rasmussen, who sent Nunez packing. As he was escorted out, Nunez spouted off a threat of revenge typical of someone being kicked out after a bar fight. The hothead was posturing, the patrons probably thought; good riddance. At 7:52 p.m. the doorbell, located down a stairwell at the first-floor entrance to the second-floor bar, began to ring. Rasmussen assumed it was a taxi driver, as it usually was, so he sent a regular named Luther Boggs down to open the door. It had been more than a year since the last gay bar raid, but you could never be sure, hence the added security. Boggs probably had no idea what hit him. He was dead instantly. A flash of fuel hit the landing and then a fireball swept up the stairwell into the bar, flames quickly engulfing the place. More than 60 people were still there, and the fire spread so quickly that panic was unavoidable. The oxygen from the door had created a backdraft that swept the fire along the hallway blocking the main entrance, and it sped along the walls rapidly. Those curtains, flocked wallpaper, and, even the lone poster of the famous Burt Reynolds Cosmopolitan centerfold that had been tacked up were all gone in seconds. There was no emergency exit sign. People clamored to get out, some pulling their clothing over their mouths in hopes of breathing through the smoke. Glass shattered everywhere as patrons tried to escape through the windows; few were skinny enough to do so, because the windows all had 14-inch security bars. At right: MCC pastor Bill Larson, trapped in the window bars, where he remained for hours during the investigation. He was promoted to reverend posthumously. 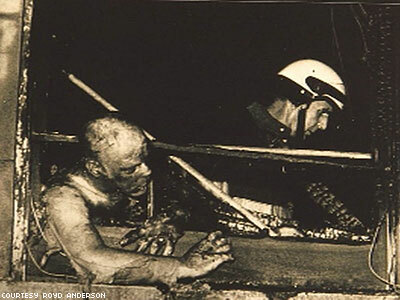 The pastor of MCC, Bill Larson, was caught in the bars, the upper half of his body stretching for an impossible escape as he burned alive, his agonizing wails heard by onlookers on the street. “Oh, God, no,” he screamed as horrified onlookers watched the man die. George Mitchell, 11-year-old Duane’s dad, was the MCC's assistant pastor then. He was one of the few people who managed to escape the fire, but when he realized his boyfriend, Louis Horace Broussard, was still trapped inside he rushed in to rescue him. The two were found dead, bodies wrapped around each other, together forever, a gruesomely romantic scene. Firefighters — including Terry Gilbert, a rookie only two weeks on the job — arrived quickly and had the fire contained within 16 minutes. No matter, though. They discovered 28 dead bodies piled up in grotesque mounds atop each other at the bathroom door, the fire escape door, and the windows, any place they could have hoped to escape. Four more people would die either en route to or at the hospital. In all, 32 people were killed that day, and though a few might have been straight, like that pre-PFLAG mom and the friendly substitute pianist, this tragedy still remains worst mass murder of LGBT people in U.S. history. The grisly fire was just the beginning of the tragedy that would affect New Orleans’s LGBT community for years to come. All of which raises the question: Why have so few people even heard about this? 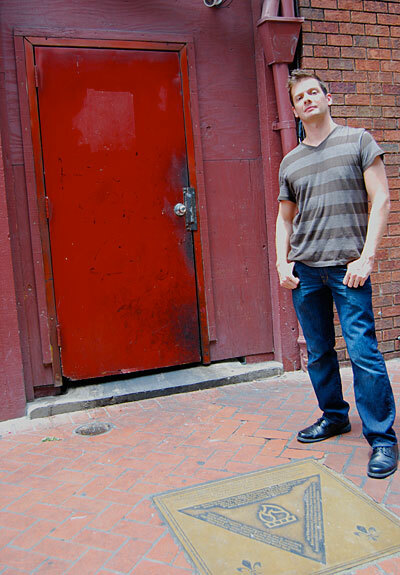 “Louisiana does a pretty good job of keeping its tragedies a secret,” says Anderson, who became an expert on the killings when he spent six years filming his award-winning documentary The UpStairs Lounge Fire, which aired this summer on television in New Orleans and continues to tour festivals and universities. Next up is a November 21 showing at New Orleans's Loyola University and then a collegiate screening tour that'll take Anderson to Penn State, Louisiana State University, Yale, and Princeton. The Cuban-American filmmaker has produced documentaries about several forgotten Louisiana tragedies: the 1976 Luling Ferry disaster (the worst ferry disaster in U.S. history, with 77 fatalities), the 1977 Continental Grain Elevator explosion (the deadliest grain dust explosion of the modern era, with 36 fatalities), the 1982 Pan Am Flight 759 crash (the worst aircraft crash in Louisiana history and the fifth worst in U.S. history, with 153 fatalities). The UpStairs Lounge fire fits among them: It remains the deadliest fire in New Orleans history. At left: Filmmaker Robert L. Camina in front of the plaque memorializing the UpStairs Lounge massacre. Anderson learned about the fire as a kid. His dad, a French Quarter tour guide, would take Anderson on long walks in the Quarter, and he would point out the building and tell the story. “Being a social studies middle school teacher, I thought it was imperative to remember this forgotten tragedy and lost history,” he says. The teacher-turned-filmmaker is not alone. Gay author Townsend, who wrote about the tragedy two decades ago, was able to talk with many survivors of the fire, no easy feat, says Anderson, who admits getting people to talk about it today is difficult. In 1998 she helped organize the 25th anniversary memorial. She had come out by then. But 1998 was a far cry from 1973. It was amid this atmosphere that LGBT people in the city had to grieve and bury their dead, something that became difficult in the days after the tragedy. Rev. Troy Perry flew in from Los Angeles, reeling from the fact that the fire had decimated the local congregation of his church. He was joined by Morris Kight from the Los Angeles Gay Community Services Center, Morty Manford from New York’s Gay Activists Alliance, and two other MCC leaders, John Gill and Paul Breton. Their appearance in the city marked the first time national gay leaders gathered to mourn a tragedy, something that could have been galvanizing or healing. They were turned away by every church in the city, however, and finding a place to hold memorial services was a unexpected battle. Indeed, as Perry and others searched for a church to hold services for the 32 victims, the LGBT community looked to local politicians, the mayor, religious officials, and civic leaders to at least recognize the tragedy. None did. The CBS Evening News was the only national mainstream news outlet to cover the story (The Advocate’s following issue featured the tragedy on the cover, with reporting from New Orleans). New Orleans local media covered the story on day one without mentioning that the lounge was a gay bar. When that fact was discovered, the reporting turned ugly at times. It was true some gay men did carry false identification at the time — that way, if they were arrested their real names wouldn't go on the public record, something that would get you fired — but almost all the victims were identified in the following weeks. 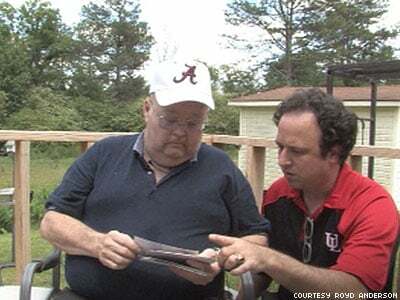 At left: Author Johnny Townsend (left, with filmmaker Royd Anderson) wrote about the fire 20 years ago. Because of the age of many survivors, Townsend is thought to have been the last person to really record many of the survivors’ stories. And they were mourned. While Baptist, Catholic, and Lutheran congregations refused to allow memorials to be held in their churches, a closeted gay rector at St. George’s Episcopal Church, Father Bill Richardson, allowed a small prayer service be held there. 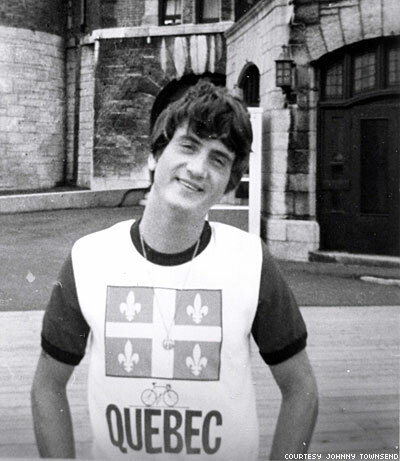 It nearly cost him his job, as the local bishop forbade him to hold further services for these (mostly) gay victims. 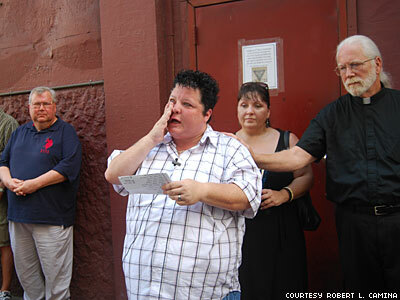 Eventually, St. Mark’s United Methodist Church allowed an official memorial service, which attracted about 250 people, though many LGBT people were too afraid to attend. That is perhaps why civic leaders remained mum. Self, the man behind the musical, Upstairs, first learned about the tragedy while working as a music director for the Metropolitan Community Church. 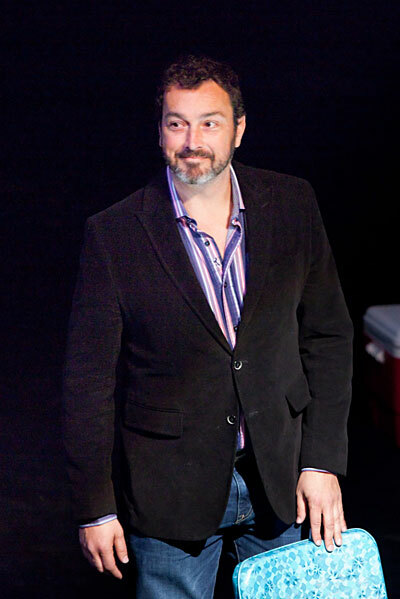 Robert Camina, whose first film was the award-winning Raid of the Rainbow Lounge, felt that way too, so he raised money for Upstairs Inferno with the help of a Kickstarter campaign and began the emotional task of talking to survivors, families of victims, historians, local politicians, and other experts. He got a boost by the fire’s 40th anniversary memorial services, held in the city last June. So did Anderson, who spent six years on his documentary; Delery, whose book is eagerly awaited; and Self, the man behind the musical Upstairs, which was perhaps the most controversial of all the recent related projects. Telling this story, rather memorializing this story of the worst mass killing of gay people in the U.S., had to be told through theater, says Self, who collaborated with director Zachary McCallum (who directed both the February San Francisco Bay Area workshop and the New Orleans premiere in June). At right: Scenes from the musical tragedy Upstairs, which opened to rave reviews, even though many in New Orleans had concerns about the tragedy being turned into musical theater. Many locals were angry to hear of Self’s musical, many expecting some exploitive light theater piece like The Sound of Music. Once they saw the almost-operatic musical tragedy he created, people changed their minds. Perhaps that’s because “Upstairs isn’t like most musical theater; it’s a requiem with dialogue. It’s a passion play set to music, and the music is organic to the setting.” After all, he says, New Orleans is one of the most musical cities in the world, and the UpStairs Lounge was a cabaret bar — plus one of the victims was a classical pianist who had been featured on national television and another was a local jazz pianist. At right: Mourners gathered outside the bar for the 40th anniversary memorial last June. Some say police bungled the investigation, or worse, didn’t bother to investigate much because it was a “queer bar.” Local officials disagree; at one point 50 officers were assigned to the case. Either way, a suspect was never caught or punished, though Rodger Nunez, that hustler who was booted that night, drunkenly confessed to friends on more than one occasion that he started the fire. There was even some circumstantial evidence that pointed in his direction. As he was booted from the building, Nunez shouted a threat, though the exact wording has been reported different ways over the years, so knowing exactly what he said is difficult to ascertain. This year Time magazine reported that he said he would “burn this place down,” while the local newspaper, the Times-Picayune, reported that he said, “I’ll come back and burn you all out.” Either way, most agree that Nunez had threatened the patrons and bartender Rasmussen, who fingered Nunez from his hospital bed the next day. Police knew early on this was a case of arson, started with a small can of lighter fluid that was probably purchased from the nearby Walgreens moments before the fireball shot into the building. The Walgreens clerk could tell police the buyer was a gay man who seemed distraught, but couldn’t identify him clearly. Nunez’s alcohol abuse continued unabated after the fire. When he was drunk he would talk about the killing, the fire. Sober he’d deny it. A year after the UpStairs Lounge fire claimed 32 lives and ruined countless others, it claimed yet one more: Rodger Nunez killed himself. Indeed, Duane Mitchell, now a grown man in Rainsville, Ark., who calls his dad a “hero” for going back in to save his partner, says the fact that no one has ever been charged with the killing makes this a tragedy without closure for many of the families of the dead — and no doubt for the few living survivors. 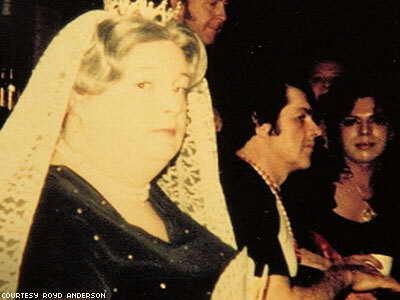 At left: George Mitchell dressed up as Queen Victoria, in happier times. “It was very emotional, sitting across from this gentleman who experienced such immense trauma as a child,” says Anderson, who showed Duane photos of his father he’d never seen before, including one of him dressed as Queen Victoria. If the lovers entwined, dying in a blaze together doesn’t gut-punch you, it’s the stories of the victims’ children, many who didn’t know what had happened to their fathers until recently. TinaMarie Matyi lost her dad, Buddy (George) Stephen Matyi, that affable and handsome piano player. Thanks to the anniversary media coverage, people like Matyi are connecting with others like Mary Mihalyfi, who lost her favorite uncle, Glenn R. Green, in the fire. Skylar Fein's haunting art installation, Remember the Upstairs Lounge, which was acquired by the New Orleans Museum of Art this year, riveted people with a 90-piece exhibition that included a reproduction of the bar and faux artifacts, along with photographs and video about the tragedy. 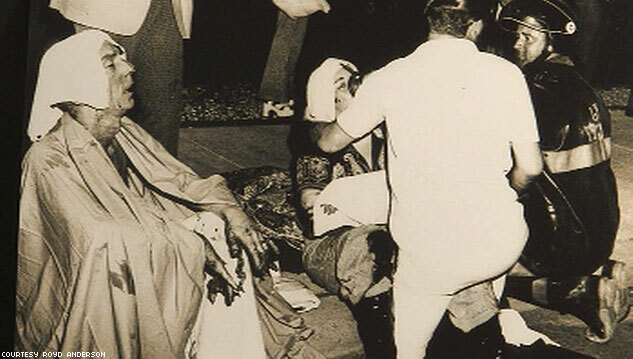 It helped others grieve in public, something no one could do in 1973. An episode of Ghost Hunters on Syfy even tried to connect the living with the dead by visiting the bar, now named Jimini Lounge. All the recent media attention has combined with work by New Orleans’s LGBT community, which hosted an anniversary memorial in June, to increase the visibility of the fire far beyond the recognition it mever got in 1973. The stigma and horror of it all, says Self, surely held folks back in 1973. Even each of these men — Self, Anderson, Camina — who have worked on the projects surrounding the UpStairs Lounge massacre have been profoundly affected, with a sort of creative PTSD that may never go away. At left: Upstairs writer-composer Wayne Self says the story of the fire will never leave him. 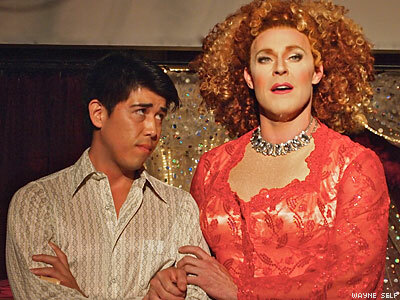 At right: Varla Jean Merman (right) and Charles Romaine in Upstairs, the musical. His play doesn’t trade in the morbidity of the night, as would be so easy to do, but the people, the victims, the horror is there in the subtext. As with Camina, his ride is just beginning. 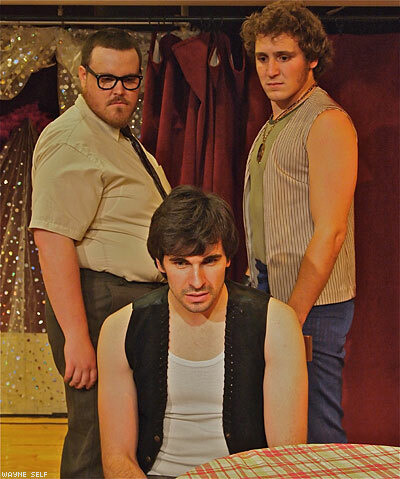 The musical will be playing in conjunction with Acadiana Pride in Lafayette, La., next June, the city’s inaugural Pride festival. He’s in talks with various theaters around the country to have them produce and present the play and he’s fundraising to put on a national tour. It’s the love of the people of New Orleans, their desire to see this story come alive, that has kept him going. The show focuses tightly on the night of the fire and its relatively immediate aftermath. The themes are broad and relevant to the LGBT experience today: pride, shame, alienation, acceptance, forgiveness, rage, religion, family, survival, and death. The fire and its victims speak to us today because their experience presages our own experience with family struggles, with spiritual struggles, with AIDS, with a long, slow march from shame to acceptance to public celebration of our relationships — a march that saw a lot of losses along the way. Yes, the mayors and religious leaders would comment today, and nearly all of those comments would be supportive and kind. And we owe it to those who didn’t live in these conditions to remember them and celebrate their contributions. Camina looks forward to 2014, but knows he’ll never stop thinking about 1973. Editor's note: The Lesbian, Gay, Bisexual, and Transgender Religious Archives Network has a comprehensive digital exhibit on the UpStairs Lounge fire with personal essays, old photos and media clippings, and excerpts from Townsend's compendium.